This is the third post in our series, Musical Professions, in which we will be taking a closer look at the myriad of careers available to those with a background in, and a passion for music! Music Therapy is a fascinating music profession because it is multi-disciplined, requiring training in both music and medicine. 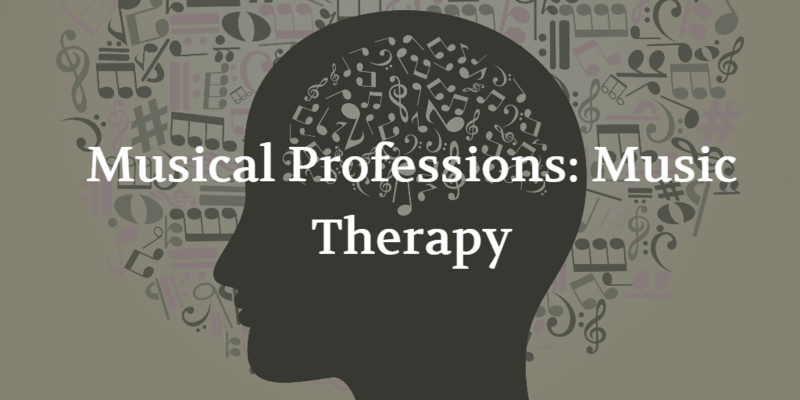 Those who have become certified music therapists can work in a variety of settings from hospitals, to clinics, and hospices, with a myriad of different patients, suffering from various conditions. Music therapy is considered an allied medical health profession. Those who work in the field of music therapy, use music to aid in the treatment of patients suffering from a variety of conditions. Different therapy regimes are applied for different conditions, and are extremely individualized. Treatments can include group or individual music sessions, improvisational sessions, receptive music listening, textual analysis, songwriting and more. Since music therapy is used to treat extremely diverse medical conditions, from acquired brain injuries to victims of abuse, this occupation requires an incredible versatility, patience, compassion and flexibility. Here is a link to university music therapy programs in Canada. Have you heard of Music Therapy before? How else might music benefit this occupation?